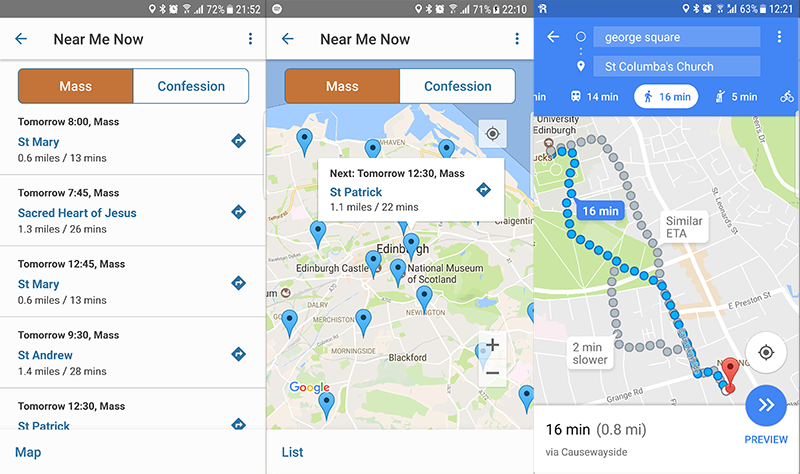 Are you interested in testing or evaluating the Catholic App, but live outside United Kingdom? In that case, use the form below and you will get an email when evaluation access is available in your country. If you live in the UK, there is no need to register any more, since it is now available to the public. If you have a smartphone with Android 4.4+ you can now download it directly from Google Play here. You can download the iPhone and iPad versions here. It currently covers Edinburgh, and the areas west, east and south of Edinburgh, but the covered area will be expanding.